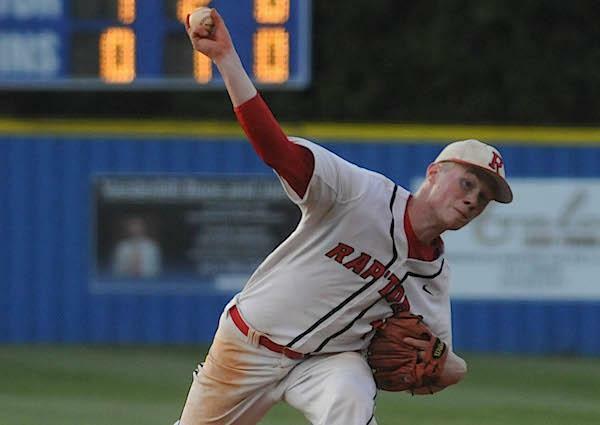 Ravenwood pitcher Bryce Denton is at the top of his game but his road to success this year started with a true personal tragedy. That phrase has been the slogan the Ravenwood Raptors baseball team has lived by throughout its 2014 season. From undergoing a 1-7 start to earning a District 11-AAA title with a 22-13 record, the Raptors have constantly refused to back down from adversity. 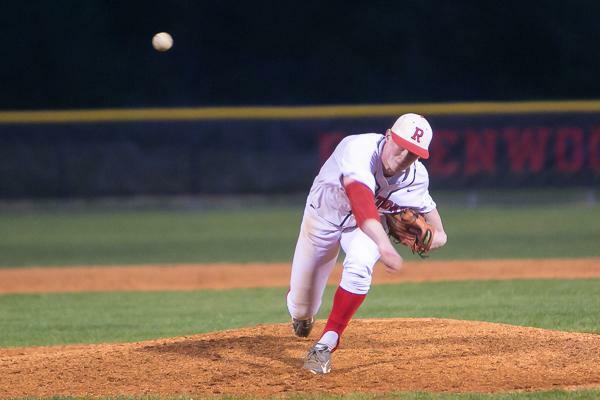 One key player who has led the charge for Ravenwood is junior right-handed pitcher Bryce Denton. Through last Tuesday’s district title game against Brentwood High, Bryce is batting .471 with seven home runs, seven triples, 11 doubles, 53 RBI and only nine strikeouts. He also has an on-base percentage of .546. Bryce Denton has a 2.90 earned run average with 59 strikeouts, 42 hits allowed and 21 walks in 50.2 innings this season. He’s been just as effective on the mound, going 4-4 in 10 appearances with a 2.90 earned run average, 59 strikeouts, 42 hits allowed and 21 walks in 50.2 innings. Opposing hitters have a .214 batting average against him. Even under the biggest spotlight, Bryce has refused to fold. In the 11-AAA tournament, he pitched two complete games with a total of 15 strikeouts, five hits and one earned run allowed. This includes a shutout performance against the Brentwood Bruins to win the title. While the 16-year-old is at the top of his game right now, he knows how difficult the road that got him there was. Before the win streak, home runs and clutch performances, Bryce had to deal with the toughest obstacle of his life — the loss of a parent. Ever since he was a kid, Bryce and his brother, Chase, have shared their love and passion for baseball with their father, Walter “Denny” Denton. From tossing “Splash Balls” for them to hit with a back scratcher in the living room, to reading them books such as “The Science of Hitting,” by Ted Williams, their dad constantly found ways to connect with them through his favorite sport. Chase (left) and Bryce (right) with their dad, Denny. Even though he had a busy schedule working as a commercial airline pilot, Denny always made time to be around his sons. 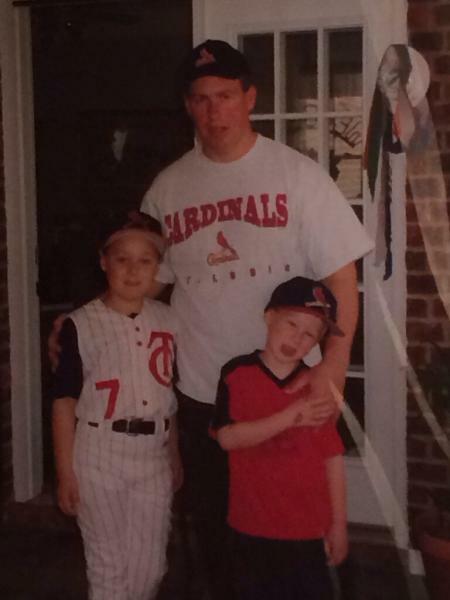 According to Chase, the reason he and Bryce became the players they are today is because of the amount of time their dad spent with them on the diamond. “From when Bryce was 5 and I was 8 or 9, we’d be out at Civitan or Crockett almost daily,” said Chase, 20, a 2011 graduate of Ravenwood who’s entering his senior year as third baseman for Martin Methodist College. “We would just snag ground balls and try to hit it over the fence. Maybe that’s why we succeeded, because we did that so much,” Chase explained. 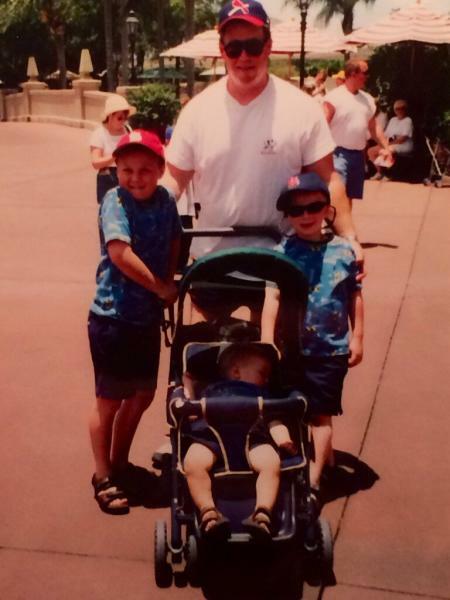 As Bryce and Chase grew older, the amount of games and practices Denny attended increased with the arrivals of their little brothers, Zane and Myles. In the summer of 2013, Zane played for Nashville in the Little League World Series. In an elimination game against Newark, Del., Zane hit a grand slam to help his team earn a 10-0 win. The team was eliminated after needing just two more wins to advance to United States championship. Not only did Denny watch his second-youngest son perform on a big stage, but he also got to see Bryce be recognized for his years of hard work. Last summer, Bryce received a scholarship offer from the University of Tennessee. With his first Division I offer in-hand, both Bryce and his dad went back to training. Throughout the fall and winter, the two continued to build on what they started. As the season drew near, it seemed as if nothing was going to be able to slow Bryce down. However, everything came to a halt one January afternoon. That day, Denny suffered from a series of blood clots that caused his heart to shut down due to a lack of oxygen. He passed away on Feb. 4 after spending 13 days on life support. For the first time in their lives, Bryce and his brothers were without their biggest fan, coach and best friend. “You just have to face reality,” Bryce stated. “You have to pick yourself back up. The last thing my dad would want us to do is sit around and cry and pout and feel sorry for ourselves. “We still have stuff we need to do and the dreams he’s instilled into us that he’d want us to fulfill, Bryce continued. Even though he had just been hit with the biggest challenge of his life, Bryce faced the adversity head-on and didn’t look back. Zane, 13, plays for the 13U Showtime Baseball Team, while Myles, 9, plays for the 10U Heritage Hurricanes. A little over one month after his dad passed away, Bryce and the Raptors began their regular season. For the first time in his life, Bryce had to face the reality his dad wasn’t going to be at his games anymore. “You never know how someone is going to respond to a tragedy like that,” said Craig. “Here I am at 45-years-old and I still have my father. Personally, I know it would’ve been very difficult for me at age 16 to be able to handle that. Even though his father is no longer sitting behind the left field fence at his games, Bryce knows he’s still watching him. In his entire career, the happiest Bryce had ever seen his dad was after Bryce was named the Most Valuable Player of the Continental Amateur Baseball Association 14U World Series in 2012. He got a chance to relive that moment following the 11-AAA title game against Brentwood this past Tuesday. After throwing eight strikeouts and allowing three hits in a complete game shutout, Bryce was named the tournament’s MVP. Even though he admits losing his father hit him hard, Bryce said there was no reason why he should let that bring him down. He looked at the challenge ahead, stared down his fears and ran to the roar. Denton and the Raptors host Hillsboro in the Region 6-AAA semifinals at 7 p.m. Monday. This summer, he will play for the 16U, 17U and 18U Team Elite baseball teams based out of Atlanta. He is fielding offers from UT, Middle Tennessee State University, Lipscomb, University of California Santa Barbara and Tallahassee Community College.